[Melb] CouchWarriors December Ranbat- FINAL 2015 with all games at CQ! CouchWarriors is bringing home 2015 with a huge final event at the CQ hotel in the Melbourne CBD running all games on the same day! There will be prizes for every game, and we will award our ranking battle winners for 2015! Hi guys, welcome to the second episode of Stuff Yo’ Couch! It has been a busy month for CouchWarriors with ranbat action galore and a full 3-day schedule at PAX with tournaments and Learn to Play sessions at our booths. Filmed at the CouchWarriors October ranbat we return with more action footage and flavour and with interviews of two pillars in the community: Jack Gorman aka Pudge from Smash @ Swanston and Edison Nguyen aka GooGieMonA of MKX and poker fame. 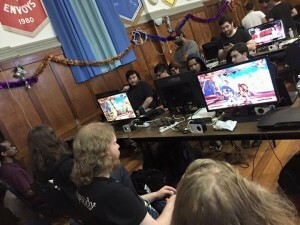 Coming up we have the CouchWarriors AGM this Saturday at CCH: https://www.facebook.com/events/1482381598738088/ If you feel like you would like to be a part of CouchWarriors and to help out with tournaments and building up the fighting game community in Melbourne, please feel free to come along! Run by Troy “Mooseking” Nelson and the SAFGC crew. I always have an awesome time there, so hope to see you guys there. Hope you guys enjoy the episode! CouchWarriors had it’s November ranbat last weekend, once again split into two days on the 8th and the 15th. Here are the full results! Hit the jump for more results!